Step 1: From the settings menu click on "Add an app" link to add the custom list. Step 2: It will open the Your Apps section under "Site Contents". Step 3: Click on "Custom List" under Your Apps. Step 4:It Enter the list Name and click on create or you can click on "Advanced Options" to enter a description of your list along with the Title. 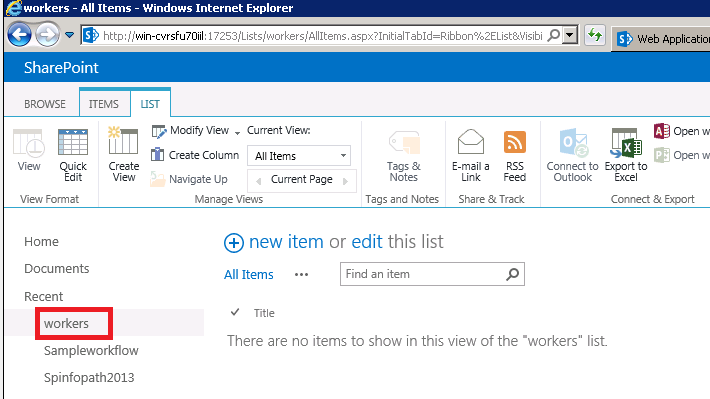 Step 5: Enter the Name and description of the list and click on create. Step 6:Finally you can see the below screen, list has been created successfully. My next post Create a list using list template. 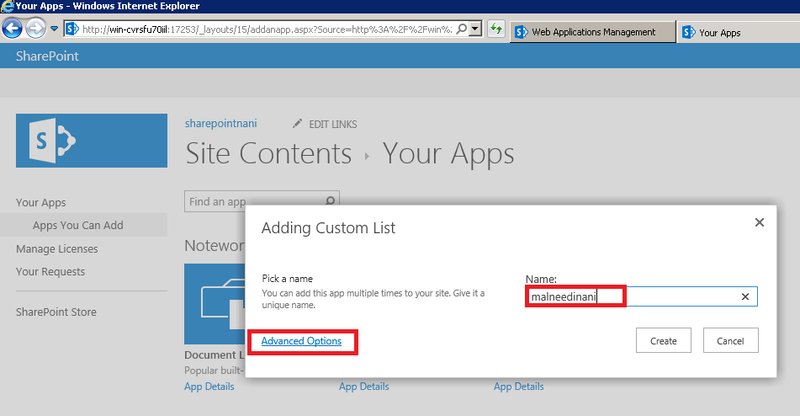 Step 1: From the settings menu click on "Add an app" link to add the custom list. 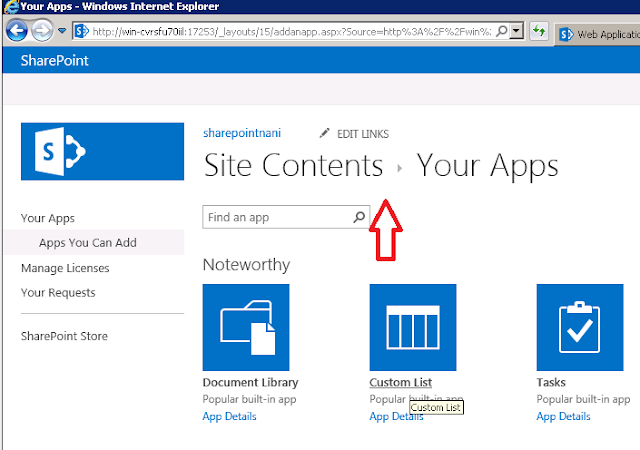 - See more at: http://www.sharepoint-journey.com/create-list-in-sharepoint-2013.html#sthash.8h4LUsrA.dpufStep 1: From the settings menu click on "Add an app" link to add the custom list. 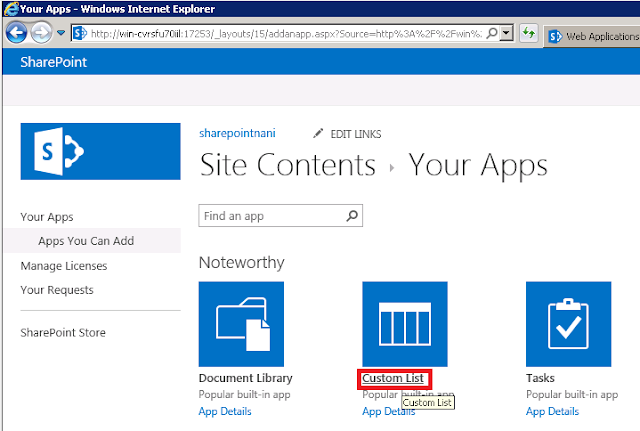 It will open the Your Apps section under "Site Contents".